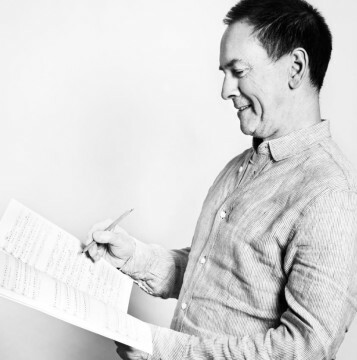 Paul Fincham has sung with the London Philharmonic Choir since 1986 and is now pursuing a second career as a freelance composer. Marketing Manager Rachel Topham spoke with him about singing in the choir and his musical career ahead of the choir’s Prom performance of Verdi’s Requiem last week. A: As I am currently working with librettist Jessica Duchen on a youth opera commissioned by Garsington Opera for next summer I have been listening to works in this genre. Britten of course stands out with his many works for children, Noye’s Fludde, The Little Sweep and others. He wrote so well for voices, he believed deeply in composers being part of the community rather than hiding away in ivory towers. I entirely go along with that, one of the reasons I love singing in the LPC. Q: If you could meet anyone performing at this year’s Proms, who would it be? A: I heard Sir Andras Schiff playing Bach’s Goldberg Variations at a late night prom in the 2015 season and was gutted to miss his first book of the Well-Tempered Clavier last year so am thrilled to see he is playing book 2 this year. A grand piano, a lone performer, a huge stage and auditorium and all that complicated music to remember – there is something so heroic about performances of this kind. What kind of person would have the courage to take it on? I would like to find out! Q: What else might you do if you weren’t in your current role? A: Singing in the choir is invaluable to me as a composer especially (but not only) when it comes to writing choral music. Choral music presents unique challenges, not least the crucial interplay of music and text and singing in the choir provides the best possible insights. What else would I do? Well, naturally I would be very happy to follow the path of many other composers who have developed careers as a conductor alongside their composing, some of course with more success than others. Q: Describe the biggest challenge you’ve faced in your career. A: I am now on my second career and the biggest challenge for me undoubtedly was transitioning in my fifties from my first career into my current calling as a full time composer. That may not leave a lot of time for my second career but I take heart from the fact that my father lived to 102. Aged 101 he was in the audience last time LPC sang Verdi’s Requiem at the proms (in 2011), inevitably and one might even say appropriately his last prom. Q: What has been your most exciting musical ‘discovery’? A: When I took up composing again five years ago the most exciting discovery was some thirty years of technology which had passed me by. I now have a sample library in my studio of more than 1TB of synthesised and recorded sounds (that is a truly ridiculous amount of data) and these are the best “toys” I have ever had, heralding my second childhood! Nothing quite compares with the vast range of percussion instruments from all over the world (Africa especially). If I attend a concert these days of large scale orchestral works my eyes seldom stray from the percussion section. 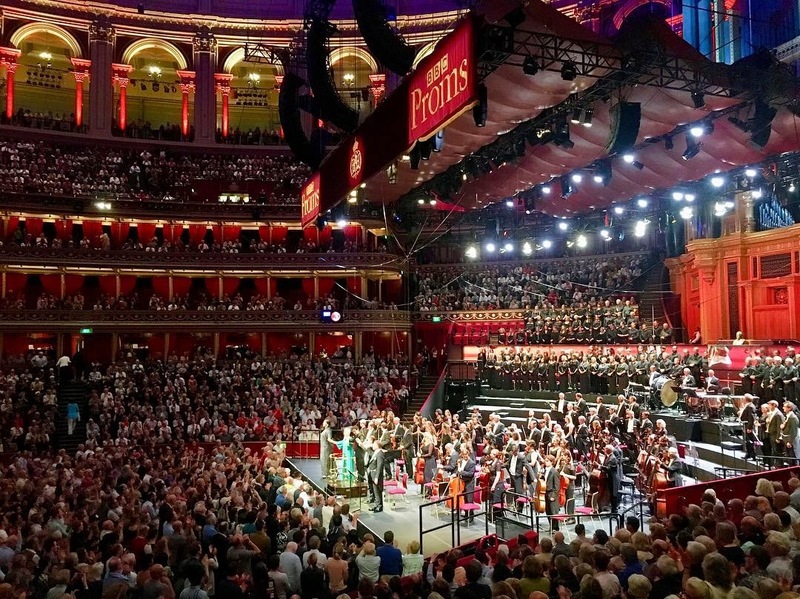 Q: What are your BBC Proms 2018 highlights? A: For me more than anything the proms (Bach piano music aside) are about hearing large scale works in a vast iconic arena: Prom 65: I have lost count of the number of times I have heard Stravinsky’s Rite of Spring – it still feels as though it could have been composed yesterday, it towers over 20th century music unlike any other work. Prom: 72: Ending where I began, with Benjamin Britten – I first sang the War Requiem at school, the combination of the Latin mass and Wilfred Owen’s heart rending poetry and the pacifist message which emerges affect me deeply. 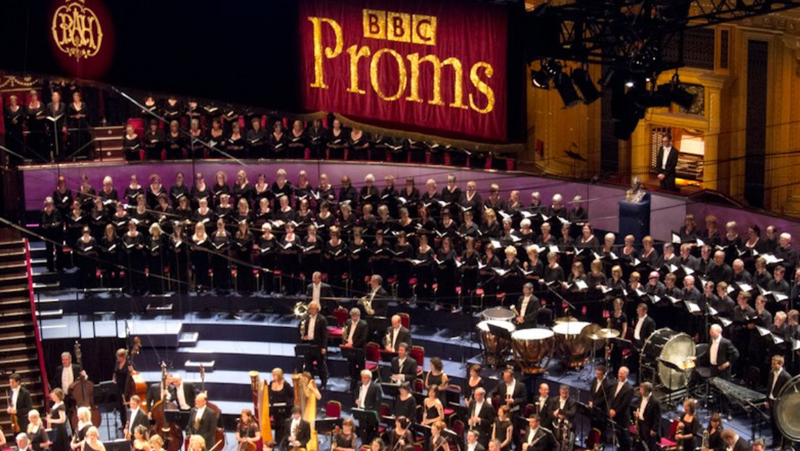 Hear the choir’s performance of Prom 64 Verdi’s Requiem on BBC iPlayer Radio 3, available for one month.